More than 20,000 ICT industry leaders and experts gathered from over 150 countries and regions to jointly explore the direction of advancements in digital technology, share new opportunities, drive industry digitization, and embark on a path to new growth. The theme of this year’s event is ‘Grow with the Cloud’, focusing on the practical implementation of Huawei’s cloud strategy, first unveiled at last year’s event. Topics under this theme include business, technology, and ecosystem strategies in the cloud era. 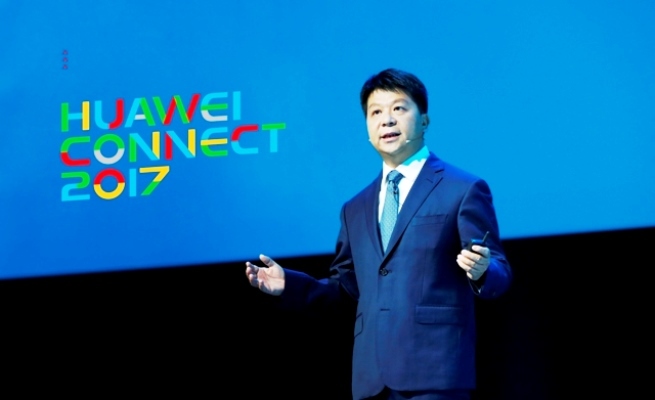 Guo Ping, Huawei’s Rotating CEO, gave a keynote entitled Grow with the Cloud: Enabling an Intelligent World at HUAWEI CONNECT 2017. Guo Ping, Huawei’s Rotating CEO, kicked off the event with a keynote entitled Grow with the Cloud: Enabling an Intelligent World. In his speech, Guo Ping assured customers and partners that Huawei has made strategic investments in the public cloud domain, and will provide long-term public cloud services. The company will build a global cloud network based on its own public clouds, as well as clouds that it has built together with partners. Guo likened Huawei’s strategy to the three major airline alliances – SkyTeam, Star Alliance, and Oneworld – which take passengers wherever they need to go in the world. Huawei Cloud, he said, will open up the world to its users. The second element of Huawei’s Cloud DNA is security. Huawei provides end-to-end security solutions – from chipsets to services – that effectively address the challenges of cloud security. Huawei’s full-stack capabilities ensure a level of security that far succeeds that of any independent IT system. The third element is service. Unlike companies that were born in the cloud, Huawei grew with the cloud. 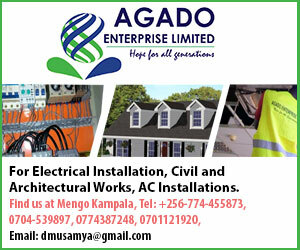 The company’s own IT architecture is extremely complex, so it understands the needs and challenges of large global companies, and is well positioned to help governments and large enterprises go digital. Shared success is the final element of Huawei’s Cloud DNA. At last year’s event, Huawei laid out its vision to help cultivate a thriving and diverse ecosystem. At the time, Guo proclaimed that Huawei has its sights set on only 1% of that ecosystem. For the remaining 99%, Huawei will work with its partners to bring their products to 172 countries and regions, achieving business success together. Guo wrapped up his keynote with details on Huawei’s hybrid cloud solutions that specifically target the needs of governments and enterprises, including a diverse array of success stories from around the world. Architecturally speaking, Huawei Cloud builds on the company’s decades of experience in devices, networks, clouds, and other digital domains, and is better equipped to achieve synergy between devices and the cloud. Moving forward, Huawei will continue leveraging the strengths of its global platform to build an open ecosystem that thrives on shared success. Mr. Zheng Yelai, President of Huawei’s Cloud BU, also presented on the first day of the event, sharing his team’s progress on Huawei Cloud. He shared case studies from 12 automobile companies (including Volkswagen and Mercedes-Benz), Philips, the Commercial and Industrial Bank of China (ICBC), and several government service platforms that have chosen to use Huawei Cloud and the cloud services from Huawei’s partners. Huawei’s public clouds and private clouds have a unified architecture, support smooth evolution, and deliver a consistent experience. Companies can efficiently and freely deploy their services on public or private cloud platforms, which readily support service migration and expansion. To prevent vendor lock-in, Huawei offers hybrid cloud solutions that enable integration with third-party public cloud platforms, including those from Amazon and Microsoft. HUAWEI CONNECT 2017 is all about platforms and ecosystems, focusing on practical application and hands-on experience. This year’s event brings together members of the vast global ICT ecosystem in an interactive exhibition hall over 20,000 square meters in area, 30% larger than last year. Over 60 sponsors, 10 industry organizations, and 130 joint solution partners are participating in the exhibition, and around 1,000 partners have joined Huawei at the event. Major partners in attendance include SAP, Accenture, Chinasoft International, HGST, Intel, Microsoft, Centerm, and Infosys. They will jointly showcase their latest progress and best practices in ICT technology, and participate in a broad range of activities during the event, including keynotes, booth exhibitions, sponsor events, and technical sessions. To expose its ICT capabilities to developer partners, Huawei will also launch its new software development cloud, DevCloud 2.0. As an R&D cloud platform that integrates Huawei’s 30 years of experience in R&D, cutting-edge R&D concepts, and advanced R&D tools, DevCloud 2.0 will expose over 3,000 of Huawei’s ICT capabilities through public APIs, and open the doors to 20 local OpenLabs around the world to developers. The end goal is to make software development simple and more efficient, helping developer partners innovate and successfully monetize new services.